US citizens need to have an original, signed passport that is valid for six months beyond their stay. Canadian citizens also are required to have a valid passport. Canadian citizens without a valid passport will not be allowed entry into Mexico and will be returned to Canada. Canadian permanent residents need to present a Resident Card, Certificate of Identity, or Refugee Travel Document. Those under 18 years of age traveling alone or with only one parent or with someone other than the child's parents, must show a notarized letter of permission signed by the parent/parents not traveling. In the case of a single parent traveling with a minor, a certified copy of the divorce decree and court order showing sole custody, certified copy of birth certificate naming one parent, a notarized copy of a death certificate or other legal documents proving custody or guardianship are necessary. Yes. Mexico is safe and very accommodating to tourists. Rest assured the resort towns of Cancun, Puerto Vallarta, Nuevo Vallarta, Cabo San Lucas and Loreto offer the utmost in tranquil, relaxing vacations, weddings and honeymoons. Overall, you can expect beautiful days filled with sunshine and seaside breezes. Cancun has a subtropical climate, warm year-round cooling down in the evenings. For up to the minute info, check out MexOnline.com. I BOOKED MY RESERVATION WITH AN ONLINE TRAVEL SITE, BUT I AM NOT SURE WHO TO CONTACT TO RECONFIRM MY RESERVATION. You can call the online travel site where you made your reservation or call the resort's direct telephone number in the Contacts & Info section. I WOULD LIKE TO GET MARRIED IN MEXICO AT A VILLA GROUP RESORT, CAN YOU TELL ME THE LEGAL REQUIREMENTS? You'll find the legal requirements in our "Weddings & Honeymoons" section, along with wedding packages for our resorts. Congratulations & Best Wishes! You are never required to attend a timeshare presentation unless its been specifically mentioned in a package that you booked. HOW FAR ARE THE RESORTS FROM THE AIRPORT? IS THERE A FREE SHUTTLE FROM THE AIRPORT TO YOUR RESORTS? There are no free shuttles, however we'll be happy to make arrangements for your transfers to and from the airport. Please note that there is a nominal fee required for the airport transfer service. I'M A VILLA GROUP TIMESHARE OWNER AND WANT TO KNOW HOW TO MAKE A RESERVATION FOR MY VACATION WEEK. WHERE CAN I FIND THE RESORT'S TELEPHONE NUMBER AND ADDRESS? Scroll down until the bottom of the page. WHO CAN I CALL TO RECONFIRM MY RESERVATION FOR MY TIMESHARE/EXCHANGE STAY AT MY RESORT? Contact Universal Vacation Club (UVC) at 1-800-852-4755 or the resort's direct telephone number. Operators are standing by and happy to help. I'VE BOOKED MY TIMESHARE RESERVATION AT THE RESORT, CAN I ADD ON AN ALL INCLUSIVE PACKAGE TO MY STAY? I UNDERSTAND THERE MAY BE SPECIAL PACKAGE RATES FOR ATTENDING A TIMESHARE PRESENTATION, HOW DO I FIND OUT ABOUT THESE PACKAGES? 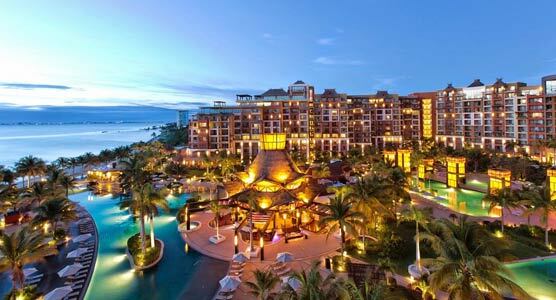 Contact Universal Vacation Club (UVC) at 1-800-852-4755 for special timeshare package rates. TAFER Rewards is a modern benefits program for smart travelers that rewards members for staying with hotels in the exclusive TAFER Resorts brand.